In the spirit of "change" which is the essence of "Open Education", this "view of the week" was so quite timely that was published recently by the team @ Booz that was noted here for reference. 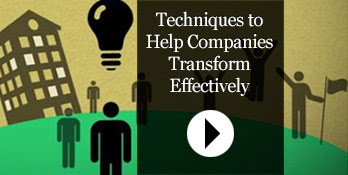 These time-honored tools and techniques can help companies transform quickly. On Teamwork: A "View of the Week"